Thanks to Awesome-O for the review! 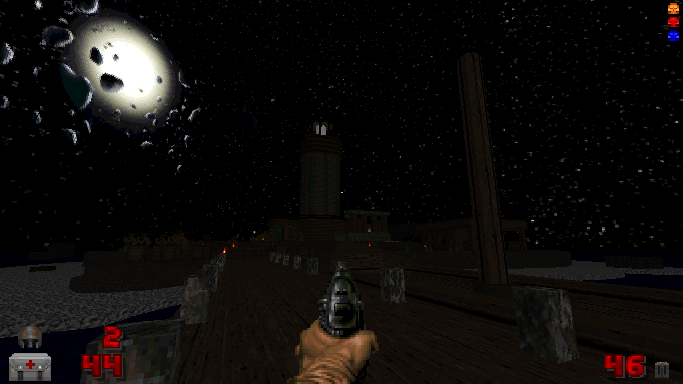 Lighthouse is a Doom 2 WAD by Doomworld Forums user Angry Saint, who created it in a 10 hour speedmapping session. According to the author, it was originally going to be a map for Heretic but they never ended up releasing it. 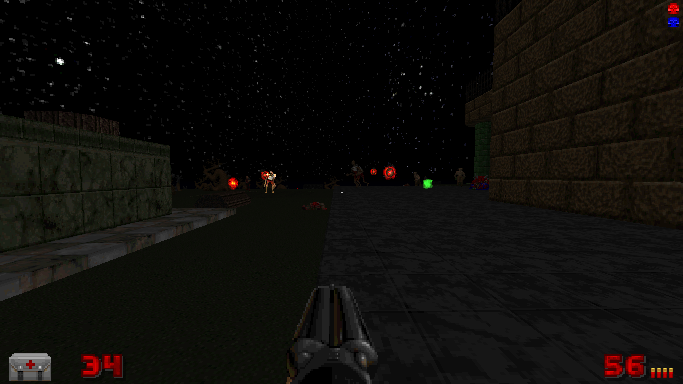 Now Angry Saint is back, with this zdoom remake of the never-before-seen original. With its intense and large scale battles, spectacular visuals and fantastic open level design, Lighthouse is sure to be one hell of a ride. It’s commonplace for open world-esque maps like these to have rather clumsy and unpredictable (in a bad way) combat encounters, and while the battles you’ll be partaking in certainly aren’t 100% perfect, they’re still great fun and the landmarks help make combat on the island more interesting than, say, fighting 3 hell knights on one empty block of land. The demons you’ll be encountering are used well and in situations that make sense for that particular monster, like having a close quarters archvile fight with lots of cover (finally, an archvile battle done right!). You’ll also have maybe 20 to 50 (maybe more if you have leftovers) monsters coming at you in each fight, but despite the large numbers combat is made fair by the freedom of movement you have at your disposal. Like I said though, the combat here isn’t 100% perfect. In my playthroughs I noticed that monsters spawn in the same 3 to 5 areas of the map when a major combat encounter begins. It’s not too big of an issue, since the demons that do teleport in usually have some time to start moving around before you get to them, but it’s still disappointing nonetheless. It’s not just the buildings and architecture that make combat in this map so much fun though. The way the powerups, health and ammo are scattered around the map is extremely well done and adds a strategic layer to the way you play the map. You won’t just find a single dump of health in one spot, nor will you for ammo. Instead, these important resources are placed all over the map in very crafty and clever ways. To find these pickups you’re going to have to do some exploring in-between (or during… if you dare) monster encounters. Not only is the placement of these pickups made so that players are going to have to do a little bit of looking around the map, but usually they’re in landmarks where it would make sense to have a stimpack laying around. That said, personally I would have liked to have a tiny bit more health laying around the map, I felt there was too little and in many playthroughs I found myself struggling to stay alive with only 6% health left. Then again maybe I’m just not good enough at Doom! Otherwise, pickups are extremely well done here and their placement is some of the best I’ve seen in a map like this. The way the items and pickups are placed here is a prime example of one of the things I love most about Lighthouse. Personally, I really like architecture and designs that tells a story, something that gives a level the feeling that something’s gone on long before you got there, something that makes you feel insignificant. I like little clues laying around maps that give off a sense of the map having some history to it. Each little area feels like it has its own story to be told, for example there’s a crashed boat on the shore over on the East side of the map with some goodies inside. What happened there? What’s the story behind that? Maybe others like you found themselves stuck on the island and succumbed to a nasty death at the hands of the demons. There’s a shrine, or maybe an old, broken down temple looking area in the centre of the map that looks like it’s been there for quite a while. How long have the demons been on this island? Is this where they worshipped the Icon of Sin, as the texture on the walls would have you believe? This is environmental storytelling 101, and I love it. Things like this really add to the atmosphere the map gives off and makes the island feel more mystical and more engaging to explore and analyse. This is an especially impressive feat given that the author made this map in the span of only 10 hours. Lighthouse is exceptional when it comes to visuals. Environments look realistic enough to give the island that sense of mysticism that I talked about earlier, but also retain the same sort of style that Doom is known for. 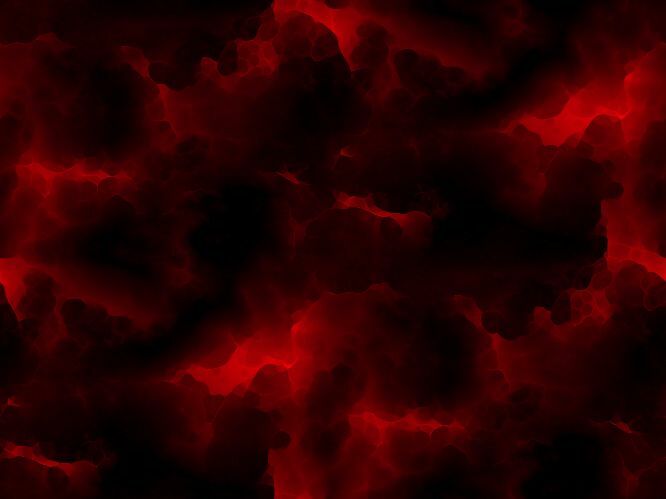 The lighthouse itself is the star of this map, it’s insanely beautiful and it’s hard to not forget that you’re being chased by the forces of hell and just stare in awe at it for a few seconds. 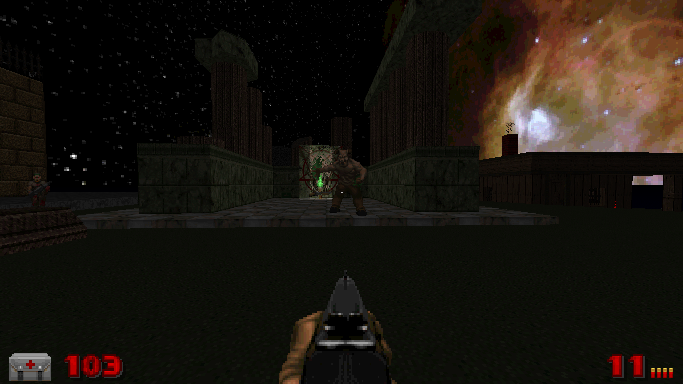 The map’s use of zdoom features such as 3D floors, slopes, etc. really come in handy in making the map look prettier. Were it not for the 3D floors used here, the map would unfortunately have to be segmented up and we wouldn’t have the same beautiful island in the version we got. 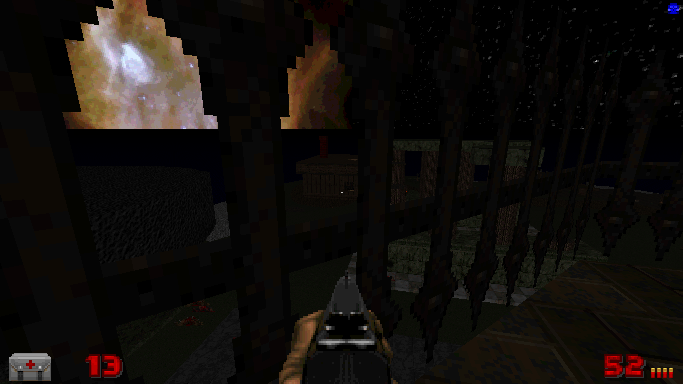 Slopes are used on the starting boat so it doesn’t look as awkward as something as large scale as this would normally look in a vanilla Doom WAD. 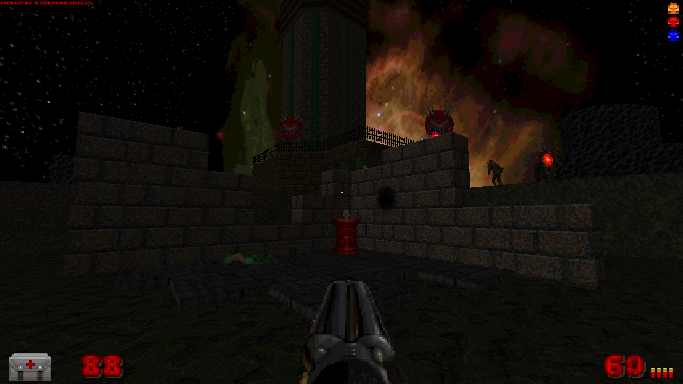 Personally I would have liked to see more done with the zdoom features though, to allow for some more unique architecture. 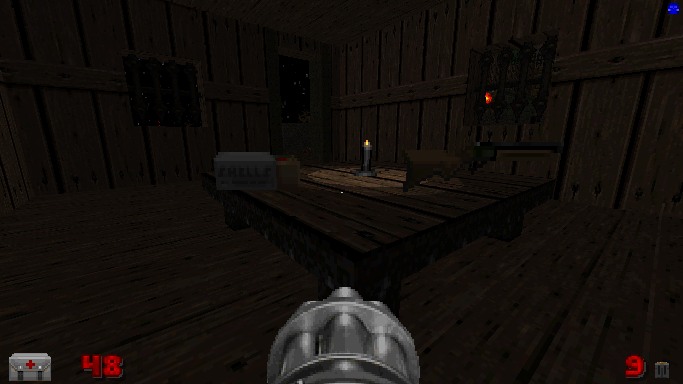 While Lighthouse may only use these advanced zdoom features for visual spectacle, they still work extremely well in conjunction with the map’s use of the GothicX texture pack, as well as the detailed lighting and texturework seen here. Basically – Lighthouse is beautiful. Truly. The actual goal of the map is to get off the island. This will see you moving around the island collecting various items and killing demons. Earlier, I talked about how open and freeform the island is, and usually that spells bad news for keeping the map focused and having a goal to work towards. It’s quite the opposite with Lighthouse, however. Having already done some exploring before getting to the first key, it’s pretty obvious what you need to do here. The keys are placed in locations that you may have already visited before, only in different spaces of those locations. There’s a very nice sense of progression here that involves some level of backtracking. For example, you find the first key in the lighthouse, which then leads to a house with a locked door that you probably encountered earlier, and then after obtaining the key inside there you head back to the lighthouse for the final key. In many Doom maps I find that having a focused objective as well as key collection at the same time is very rare, and it can be tricky to maintain focus on that main objective. But Lighthouse pulls this off very well and in a way that feels rewarding. The only thing that really halted the feeling that you’re constantly progressing for me was the fact that once you get the final key, it’s kind of vague what you’re meant to do with it. There’s no indication that you’re meant to use it on the boat you started on, walking back to the boat without the key only gives you the HUD message “There is no wind”. It would have been nice if, upon picking up the final key, a HUD message popped up saying to go back to the boat, or if there was some sort of visual indicator on the boat itself - yellow stripes, maybe (the colour of the key). All in all, Lighthouse gives you a (mostly) clear direction and objective, which is essential when it comes to ANY Doom map. Aside from the issue with the final key and the boat, there’s only one other problem I had with this map when it comes to direction and it’s the fact that you NEED to kill all the demons before you can leave the island. This can be very problematic in some cases, especially if you have leftovers from previous combat encounters. In some playthroughs I found myself spending upwards of 3 minutes searching for stragglers who were hiding away from the main bits of the map. It would have been nice if I could just leave the island without having to do this instead. Lighthouse is a pretty damned good WAD. While there may not be much replay value to it, it’s still nice to go back and have another go at it to see how fast you can finish it. It’s a very nicely made map and one that I think has been unjustly overlooked over on the Doomworld Forums. It plays well, fights are fun, the map is BEAUTIFUL visually, and it’s got more of an atmosphere than any Doom WAD I’ve played in recent memory. I would wholeheartedly recommend that you give this a go if you’re looking for a quick 10-15 minute game of Doom.